Modern day musicians are increasingly going the DIY route when it comes to music promotion and distribution. You don’t have to be signed to a record label to get your songs on the biggest music stores and streaming services online. So, what is the best approach for music distribution? It’s all about streaming and online music stores. One of the best ways to get your songs on Spotify, iTunes, Amazon etc. is to use a music distributor that can upload them to all of the big sites in one go. Some of these services do not require an upfront fee. 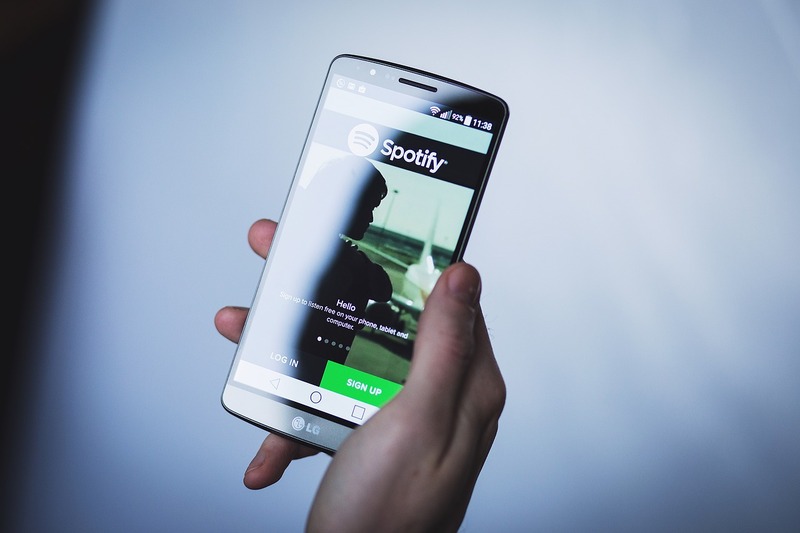 Most platforms will take a small percentage of the money you make by selling and streaming your tunes, particularly if you are on a ‘free’ plan. On the other side, some platforms have membership rates that are so cheap that we can practically put them along with those that are free. When someone mentions free music distribution, the RouteNote usually comes first to my mind. If you are a beginner, this is the right place for you. The best thing about this platform is its simplicity of use. With just a few clicks, you can start with uploading. It can’t go simpler than that. Distribution isn’t spectacular, but it’s definitely good enough for beginners. RouteNote distributes your music to a lot of online stores and platforms, which should be more than enough for you as a starter. Spotify, iTunes, Apple Music, and other global services are included as well. RouteNote is perfect for those with a tight budget. Uploading songs are completely free, as well as distribution. However, once your music starts selling, you can count on 15% of a commission fee. If this sounds too high for you, you can pay an upfront fee and you’ll keep every cent after you’ve paid. My advice would be to start with the first option and then later to switch to the upfront fee, once you start getting more and more streams. Amuse is the company that definitely stands out from the crowd, thanks to its interesting business model. This platform is free for everyone who wants to start with the distribution of his music. More importantly, there are no fees once you start to earn money. So, what’s the catch with Amuse? In some way, Amuse is actually a label company. Once you upload music on this platform, you will be tracked by Amuse’s, let’s say, scouts. It all starts with nothing more than a computer that counts a number of your streams. Once you reach certain numbers, people from the company will start with scouting. If they find you interesting, you will probably get some kind of an offer. Once you sign the deal, the company enters the game. You can count on various kinds of promotion, list pitching, financing future projects etc. While non-signed artists take all the money, in this case, you can count on a 50/50 split. It might sound like too much, but it’s pretty much the way every label do. Also, keep in mind that Amuse signed partnerships with several major labels and that many big names from the music industry started to invest in this company. Just like many other services, this one is also completely free upfront. Uploading songs won’t cost you anything, which is great. However, the things that make this platform even better is extremely low commission fee. It is just 5%, which is probably the lowest percentage you can find around. From the financial side, the Stem sounds amazing but there are also some very practical benefits that you can count on. The biggest one is that all the parties that were involved in song making process can earn directly from the platform. This means not just songwriters, but also producers, performers etc. The whole process is very simple. Everyone involved in your music signs up to the platform and then you have to determine who gets what. Once the share is determined, everyone gets his percentage once money starts to come. Sounds pretty convenient for sure. Although it’s not “free”, the LANDR is probably cheaper than most services from above. How is that possible? Well, it’s because it comes with an extremely low upfront fee. On the other side, there are no fees once you start earning money. There are several plans in the offer and the most basic costs only 1 (one) dollar per month. It allows you to upload up to 10 songs, either in a form of an album or as singles. An affordable price isn’t the only great thing about this service. 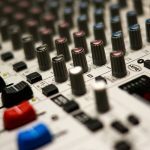 Besides distribution, the LANDR also offers digital mastering, which is a great thing if you want to add some final touch to your songs and make the 100% ready for distribution. For just four dollars, you can master an unlimited number of low-quality MP3 files. In most cases, this should be more than enough to get a decent sound quality. If you want something better, go for a $9 plan, which includes an unlimited number of hi-quality MP3 files. Compared to the services listed above, this one is a little bit different. It is a company that has been specialized for licensing cover songs. Making a cover of some popular song is definitely a great way to start your career. We have seen so many artists that have been launched to the orbit thanks to their amazing covers. However, covering a song is a little bit more complicated in these days. In most cases, the original artist will demand to take the song down. Others will be more pragmatic and demand a share of the money made from a song. Thanks to the Soundrop, you don’t have to worry about these things anymore. Just pay 10 dollars per song and you can cover anything you want. This platform also allows you to distribute your own music. Uploads are free, but the service will later cost 15% of everything you earn, which seems like an average fee. These are some of the platforms that offer the easiest and cheapest music distribution. As you can see, most of them offer free uploads while later fees are on a relatively acceptable level. Which one to choose, it’s up to you. Still, I’m pretty sure that you won’t go wrong with any of these. 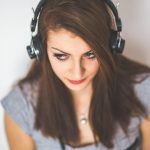 Of course, you can try to distribute the music by your own, but it will require a lot of effort and it will definitely take a lot of time, which can be spent on something much more creative. an affiliate advertising program designed to provide a means for sites to earn advertising fees by advertising and linking to amazon.com and other International Amazon stores. 2018 Musician Wave. All rights reserved.